Today I received the July issue of ASOS magazine and one of the items featured in it were these really cool temporary tattoos that look like jewellery. 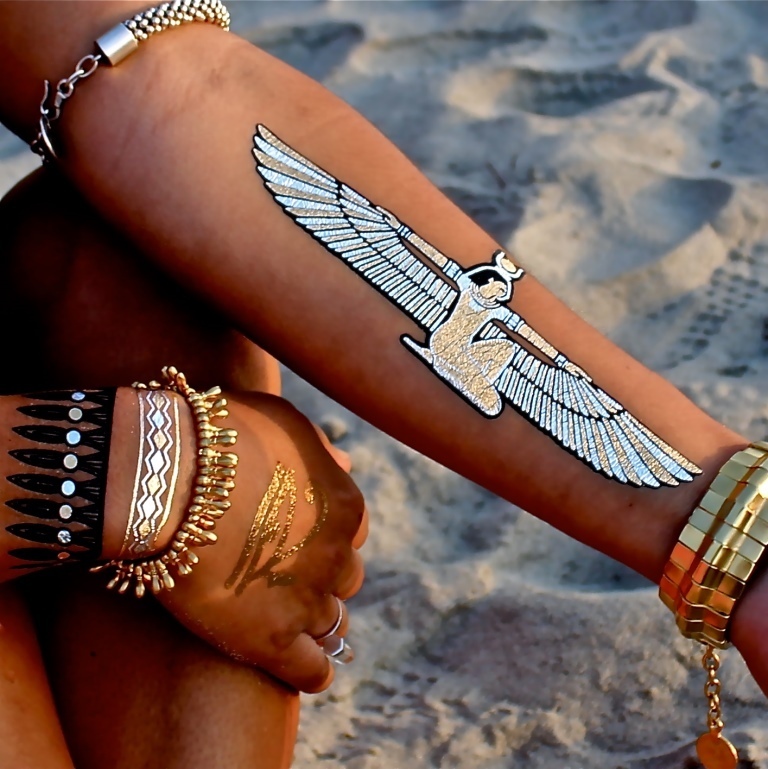 They are called Flash Tattoos. The tattoos come in collections which contain 3 or 4 sheets of designs. The tattoos pictured above are from the Child of Wild, Sofia, and Goldfish Kiss collections and cost $30, $22 and $20 respectively. They last between 4 and 6 days and you just need water to apply them. If you have them on while in the sun then you will get tan lines – absolutely gorgeous ones. This was not a sponsored post, I just found out about Flash Tattoos and thought that you might like to find out about them too.